Hello! 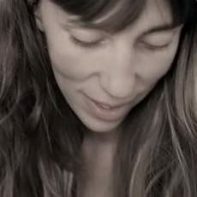 I am Celina and I blog over at Petit and Petit and family where I share my love and passion for children’s design. I am overjoyed to be here today and cannot thank Rachel enough for giving me this great opportunity to share this passion of mine even further. For my first post I thought it would be fun to share some easy DIY personalized pencil projects. I don’t know about you, but when I was growing up what went into my pencil case was very important. I loved shopping for fun school supplies, especially the pens and pencils. I haven’t gotten the chance to do that just yet with my kids, my oldest just started kindergarten and all he needed was some markers and glue, but I am already getting ready for next year! I love the idea of being able to make something completely your own and I know I will be trying a few of these already for our stash at home. 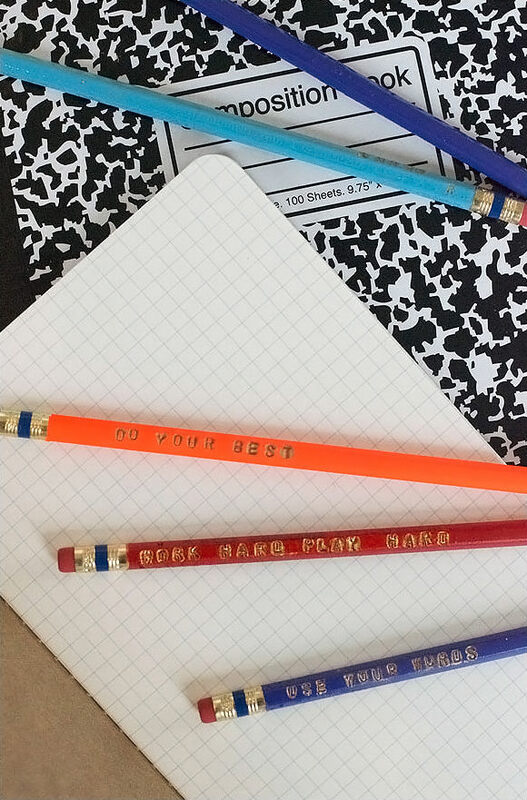 Have you seen all the personalized pencils popping up on the web lately? Now you can make your own with this brilliant tutorial. “Do Your Best”, “Use Your Words”, “Work Hard, Play Hard”… what would you write? Here is another way to personalize a pencil, with this easy method you’ll want to personalize all the pencils in the house. 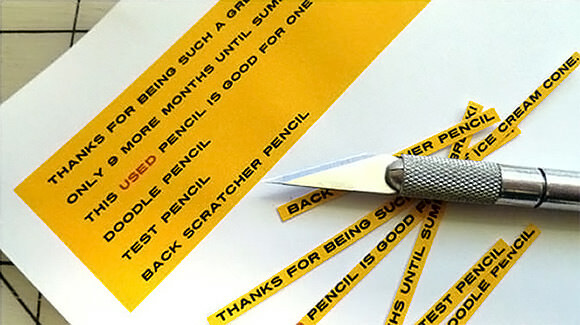 This would be a great way to label all the pencils with your kids names, too. Sometimes the simplest ideas are the best! 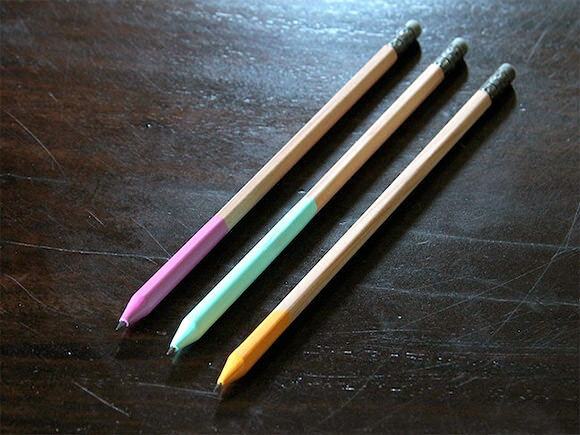 With these dip dye pencils your kids will be the trendiest by far. I just love the look of these, I might have to make myself a few. 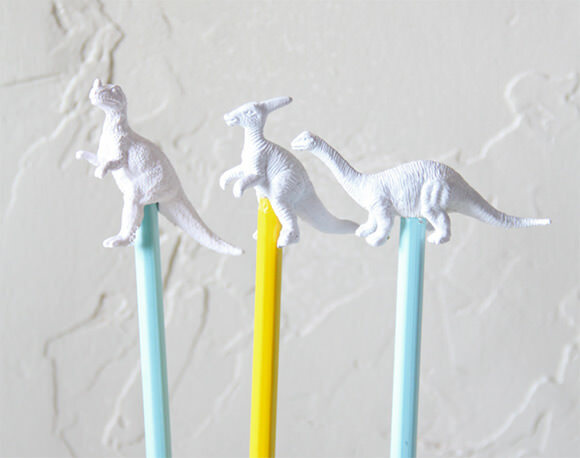 No pencil collection is complete without some personalized pencil toppers. How cute are these dinosaurs? You could make these with any small plastic toy. I wonder if it would work with erasers as well? 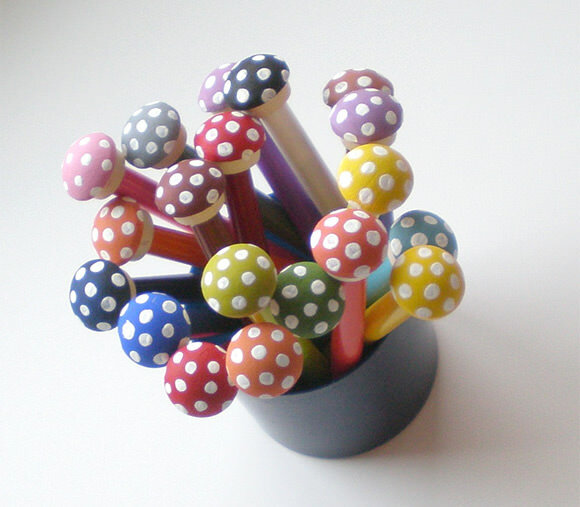 These wooden mushroom pencil toppers are equally as cute. A little paint and you can customize them as you wish! 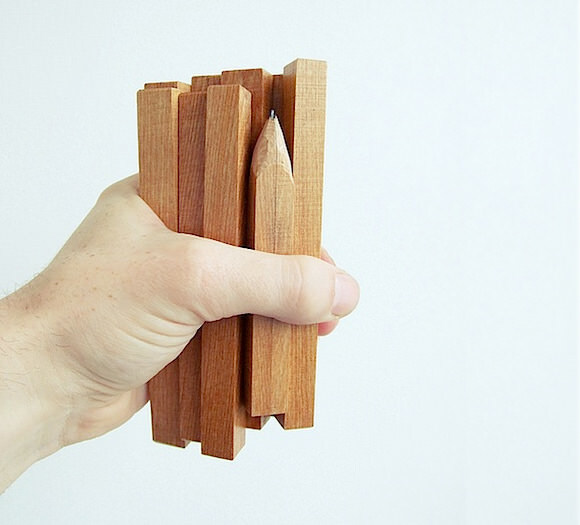 If you’re the adventurous kind, why not make your own pencils from scratch? You’ll be surprised how easy these are to make. How cute would it be to dip dye them as well? Why not try a few of these DIY’s together with your kids? Or perhaps sneak a few in their pencil case one day with a special message, just to let them know that you’re thinking about them. I wish you all a lovely and easy back-to-school season! Picture at the top of this post: Keep a memory alive or perhaps a family portrait with these DIY Photo Pencil Covers via PhotoJojo! Your kids might get distracted and try putting the puzzle back together, but at least you’ll be with them every step of the way. 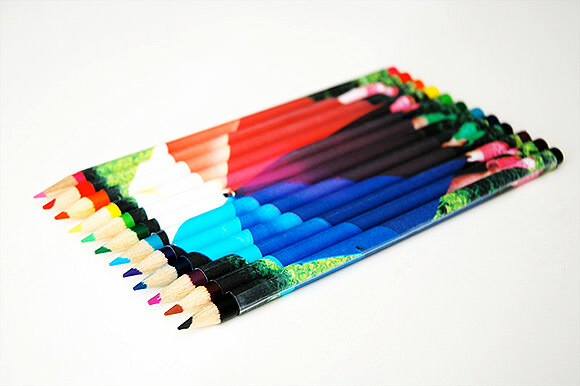 What great ideas – I love Celina and pencils!! Love this and so pleased to see Celina here! So many great ideas! Great job Celina! So many cool ideas here! I love personalised stationery and definitely plan to try some of these.